Help Choose Our 2015 CITA Public Vote Winner! The nominations are in, the staff votes have been tabulated, and one thing is clear: We still need your help! 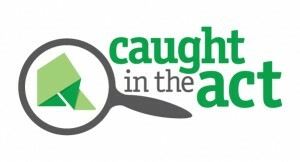 This past year, Random Acts received scores of incredible Caught in the Act (CITA) nomineees, each of whom has somehow made an incredible difference in the lives of those in their communities — and now, we’re hoping you can help us winnow the pool a little bit more. This year, as always, the Random Acts team cast its decision and picked one staff-selected winner for a $3,000 monetary award, a special certificate, and a dedication right here on our official site. For the 2016 prize, our staff chose to honor Cristal Logothetis, of Glendale California — the founder of a group called “Carry the Future”, which aims to provide baby carriers to Syrian refugees fleeing their home countries in search of a safer space. For her mindfulness, thoughtful efforts, and willingness to dedicate her spare time to such a moving cause, we’ve awarded Cristal with this year’s staff vote prize. Congratulations! The 15-year-old southern California student isn’t sitting still and letting the world pass her by, according to the nominating party. 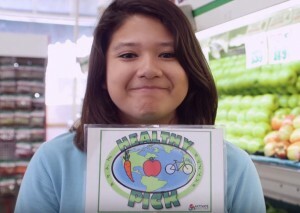 “After attending Activate Whittier’s ‘Change Starts With Me’ training in 2012 and only 13 years old at the time, Analaura Amezquita became an advocate for the Southern California Kaiser Permanente Healthy Eating and Active Living Initiatives in her city, Whittier, California,” they wrote. 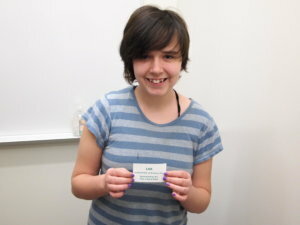 Concerned about her community’s child obesity rate, which sits at around 25 percent, Analaura spends her free time volunteering with the local Healthy Picks Corner Store Conversion Program and has been, according to the submitter, an “integral” part of the group’s success. In 2014, Katie, then a middle school student in Galesburg, Illinois, decided she wanted to fight back against bullying in her school — and her efforts have since grown to become much more than initially expected. “I used to be scared to come to school,” Katie told WQAD, a Quad Cities ABC affiliate, in an interview last April. Using her own experiences to become a force for good in her neighborhood, Katie started up the Take a Stand club, which works as a support network for other students suffering from bullying at school or who happen to be having a difficult time. The group also works together to do random acts of kindness. Dr. Harrington, qualified as an MD from the Royal College of Surgeons in Ireland, struggled for years trying to find a diagnosis for his own illness, according to the submitter behind his nomination. 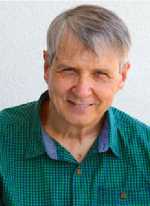 It was that struggle which eventually led him to set up what is now the Human Health Project, a network of support that “bring[s] together the experiences from people using many different forms of health care”, according to the HHP’s official site. The HHP now serves to improve access to health information, empower self-management of health conditions, and creates Peer-to-Peer support communities for better health, according to the group’s site. 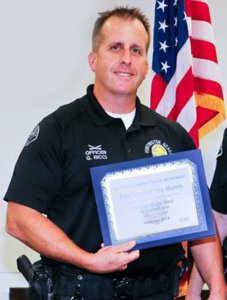 Rather than simply throwing homeless individuals with legal issues to the harried courts system, the department specified that Officer Ricci routinely follows cases through to their end, helping those individuals to find realistic consequences that will not force them back into the justice system months later for repeat offenses. How do I cast a ballot? It’s easy! Head to our official CITA page here and submit your ballot as instructed using the linked form provided. Voting is open until March 29 at 23:59 p.m. ET. We want to hear your voice! 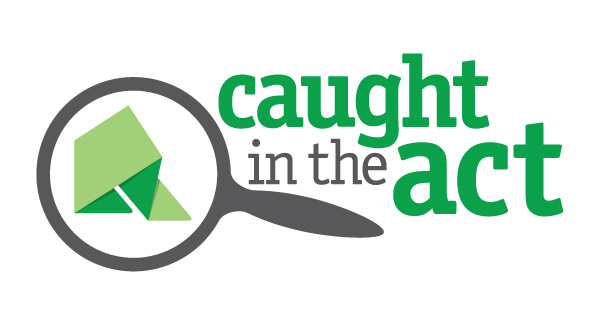 Tell us who you’re supporting on social media and help us choose a winner for our official 2016 Caught in the Act public vote. Let’s award generosity by giving back to those who are changing the world, one random act of kindness at a time.